We are very proud to announce the launch of our modern workplace learning solution SmarterPath for Microsoft O365. You can find all the success stories in this playlist on our YouTube channel. SmarterPath now lets you create intelligent learning experiences – so-called smarter paths – by connecting content, documents, and even persons from a whole host of systems (SharePoint, Teams, Delve, Stream, YouTube, external websites, Exchange, and more). Also, take a look at our “Onboarding in O365 with SmarterPath” Webinar. 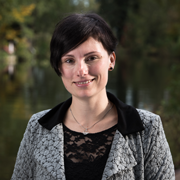 Here our colleague Kerstin Schachinger explains how SmarterPath is integrated into O365 and how you can use it to improve onboarding in your organization. 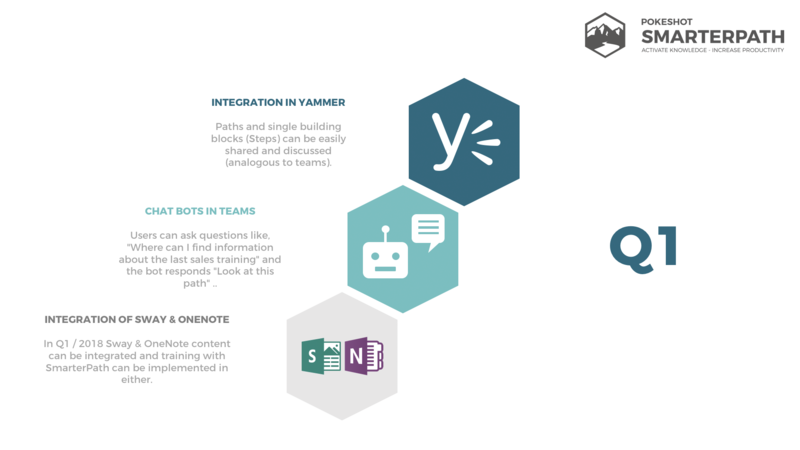 We plan to integrate SmarterPath into Yammer by January 2018, in order to make it possible to easily share and discuss paths (just like Teams) as well as individual components (e.g., Steps). We are also looking into employing chat bots in Teams. This would enable users to ask questions like “Where can I find information about the last sales training?”, to which the bot would answer “Look at this path.” In Q1/2018 we will additionally delve into the integration of Sway content and the use of OneNote in trainings.